Green Thumb, LLC offers full design and installation services for your commercial property. 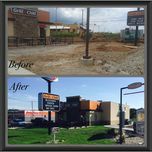 We handle everything from complete landscaping installations for newly constructed sites to replacement and updates for an existing business. 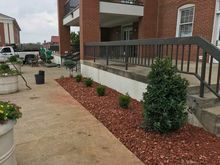 Our knowledgeable staff will insure your landscaping is kept to the highest quality and each plant on the site is installed and maintained by our professional landscape crews. starting with a visual concept to the installation of your beautiful landscape. Whether you're interested in trees, flowers, or shrubs, our knowledgable staff will help you select the perfect plants and install them for you in a professional, timely manner.